This picturesque little mill on the Blue Ridge Parkway in Virginia has been on my bucket list for a few years now. While recognizing that it has already been the subject of many thousands of images captured by other photographers, I still longed to see and photograph it for myself. 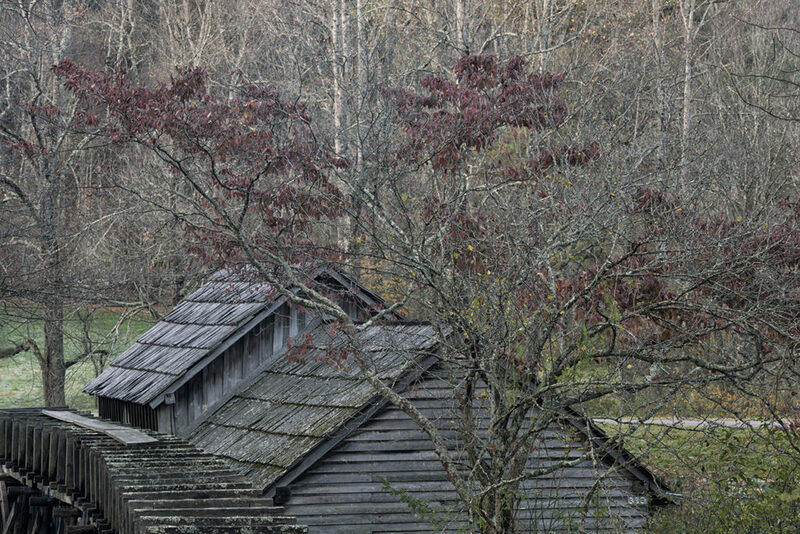 I finally got to photograph Mabry Mill last month on my road trip through West Virginia, Virginia and North Carolina. While the primary objective of that trip was to photograph waterfalls, I made an exception for this beauty. The mill was built between 1903 and 1910 by Ed and Lizzie Mabry. Having started out as a blacksmith in the West Virginia coalfields, Ed Mabry (1867-1936), a versatile handyman, came to Floyd County, Virginia in 1903 with aspirations of building and making a living from operating his own mill. 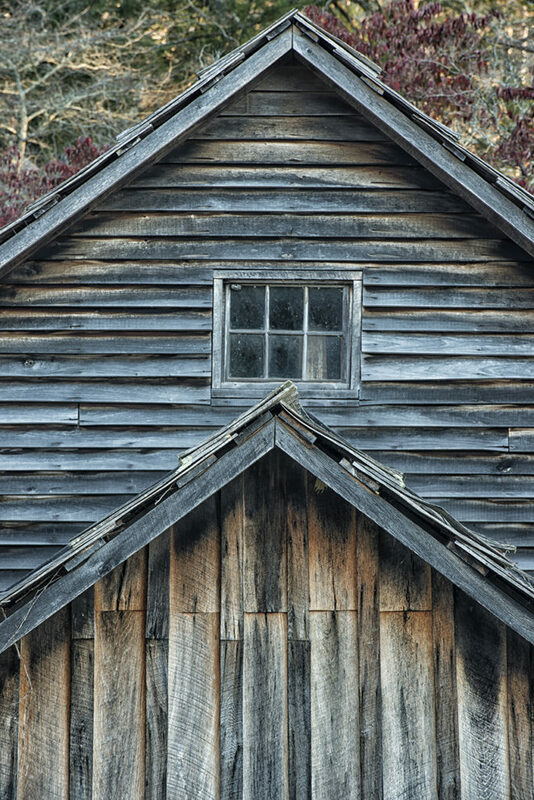 When first constructed, the primary purpose of the wooden building was to house Ed’s blacksmith business but he soon added a wheelwright shop, then a sawmill and, by 1905, he had expanded the site to include a gristmill. Ed cut his own millstones out of rock hewn from Brush Mountain, near Blacksburg, and built his own wooden overshot water wheel. The expanding functions of the Mabry family business remain clearly visible to this day in the three discrete sections of their little, wooden building. Ed and Lizzie worked long days grinding grain, sawing lumber, gardening and tending farm animals. Between 1905 and 1914, they bought adjacent tracts of land, mostly for the purpose of acquiring more water power to drive the water wheel, the lifeline of their business, for additional days each year. While Ed and Lizzie left no children, they surely left behind an enduring testament to the virtues of hard work and self-sufficiency that was typical of the Appalachian people of their time. 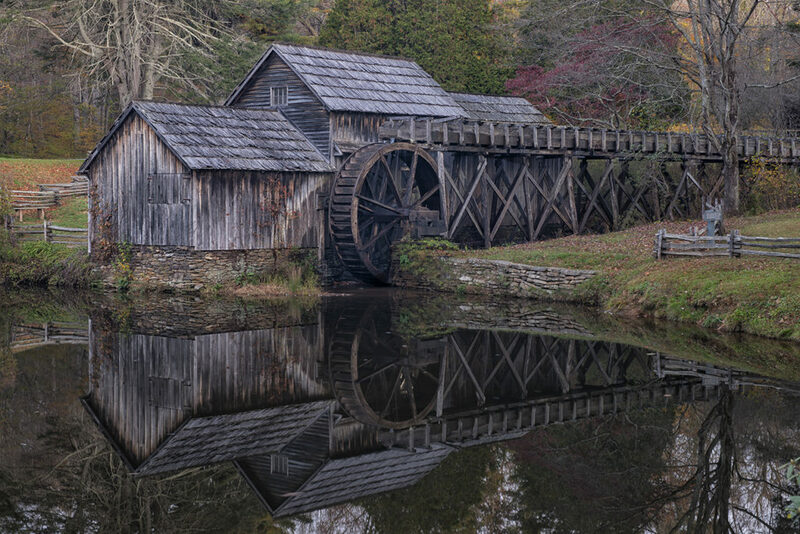 Today, Mabry Mill attracts hundreds of thousands of visitors each year, all of them drawn to the simple beauty of the three-part mill by the calm, circular pond, that the Mabrys built with their own hands. When Ed and Lizzie Mabry were working hard on building and operating their mill, they surely could never have imagined that, more than a century later, it would become one of the most photographed buildings in America. On my recent photography road trip through Virginia, West Virginia and North Carolina, the subject in which I was most interested was waterfalls. 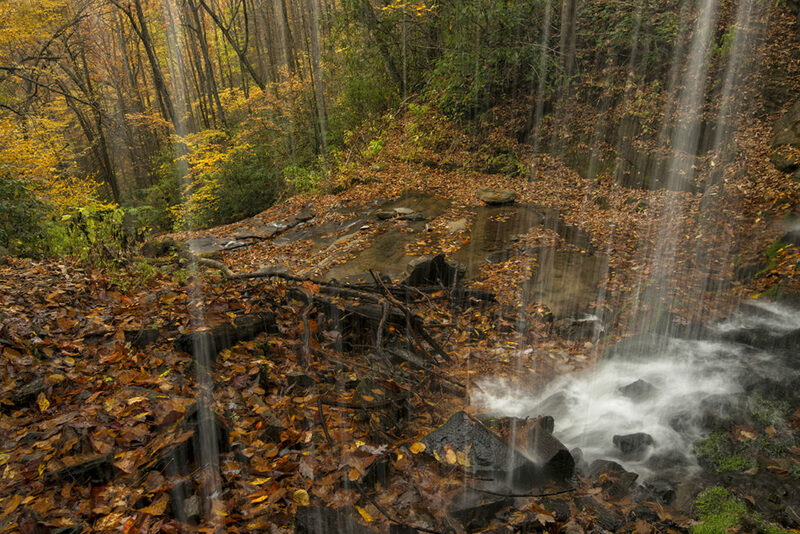 And the most spectacular falls I found in all three states were Grassy Creek Falls. 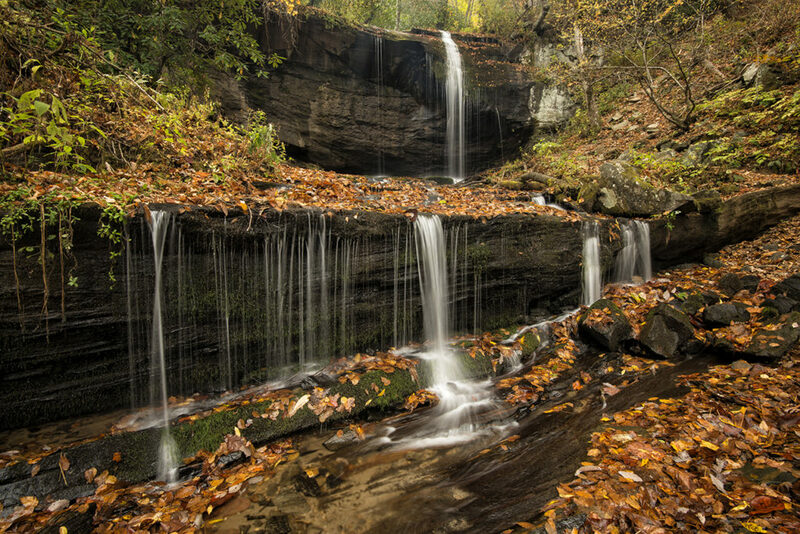 Although the highlands of western North Carolina are home to many well-known waterfalls, Grassy Creek Falls are a well-kept secret, mainly because they stand on private property and the owners, while not dissuading visitors, also do not encourage them. The falls stand at an elevation of 3,080 feet, a few miles distant from the aptly-named town of Little Switzerland, and require a steep downhill hike of a mile or so to approach them. Upon reaching the end of the hike, one must scramble down a treacherous, near-vertical valley wall to get to the top of the falls themselves. 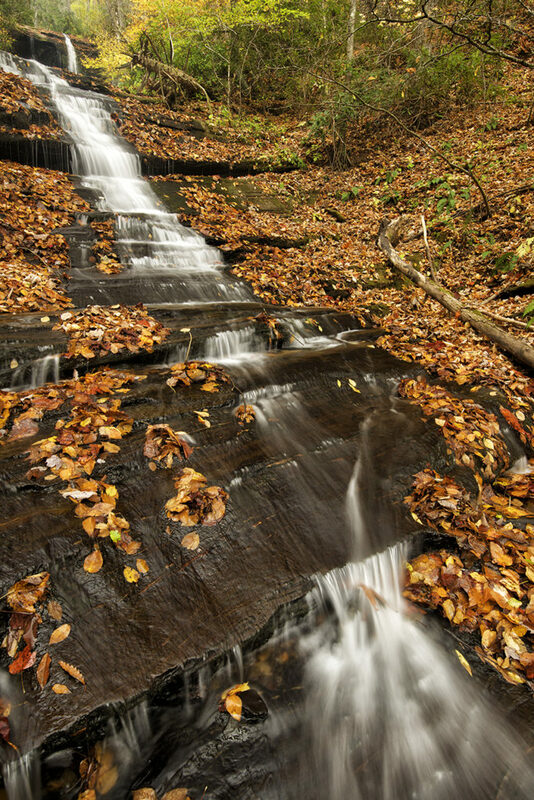 From there, to reach the base of the falls, from which the second image was taken, requires scrambling down several steep layers of rock, all of them strewn with wet leaves and flooded with fast-flowing water. While this was undoubtedly physically challenging, the effort and the risk were well worth it for the exhilarating experience of standing at the bottom of the falls, with not another soul in sight, and staring up at their pristine majesty adorned by autumnal yellows, reds and golds. Of course, the predictable opposite of a steep downhill hike and scramble is a seemingly even steeper uphill scramble and hike, which pushed me close to my physical limits. Once back up at the top of the falls, the next image I simply had to make was from behind the falls themselves, looking out (lead image). This required taking another crazy risk of standing knee-deep in freezing cold water and getting both myself and my camera gear drenched just long enough to shoot a single frame. But, what the hell, I’d come this far, what difference is one more crazy risk going to make?